JAKARTA - Market share of products technology based projectors is believed not as a business that able to be source of moneymaker. Profit margin of this business is arguably a bit. "But why do we remain in this business? How do we convince investors to keep in this business? 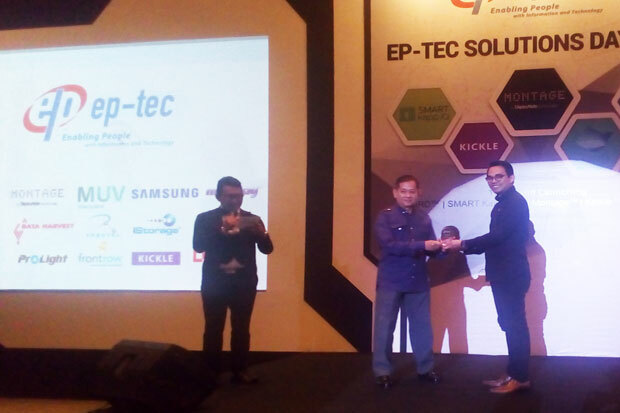 Because we sure needs of technology remains necessary," explained Andika Pratama, President Director EP-TEC Solutions Indonesia on the sidelines of EP-TEC Solutions Day 2016 in Jakarta, Tuesday (3/5). Base of that too, EP-TEC Solution Indonesia as a provider of information technology solutions introduce five new products that specific to education and enterprise segments. Andika also said, EP-TEC commitment in developing an easy to use technology through a series of new products that can be used among the instigators of the enterprise and education. "We want to enable these segments (enterprise, and education) with the technology. 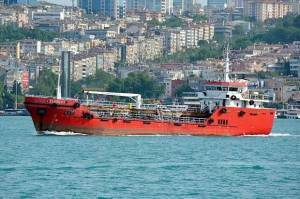 Therefore we want to continue to evolve to a higher level where EP-TEC can be a solution provider with productivity and performance," he added. In this EP-TEC Solutions Day 2016 event, EP-TEC Solutions Indonesia introduced five new products. First, Smart Kapp IQ. A wide-screen device that combines a traditional whiteboard with a 4K display. This device can be used like a blackboard, but with the quality of its Ultra HD display, presentations, video and any image displayed will look very sharp. Then there is a device called the Bird from Muvu Interactive. This device can facilitate users when doing presentations or even want to control the display of smartphones, tablets and PCs that were fired through the projector without having to touch the device. Just by inserting a small device to the index finger, then you can control the screen with ease. Also there is Kickle, a device that can turn your screen into a video conference that can accommodate up to 250 meeting participants. The service is also synchronized with the service of Skype for Business. Then Montage. This products featuring technology that makes the device capable of displaying a presentation appears on the screen without having connect via cable or make connected first. And last, Prolight. These devices are capable of making big screen presentations more through technology Ultra Wide High Definition (UWHD) Short Throw to the desired size. "Hopefully our latest products re-able to provide the best solutions in the field of education and corporations with major value Enabling People with Technology," said Andika.